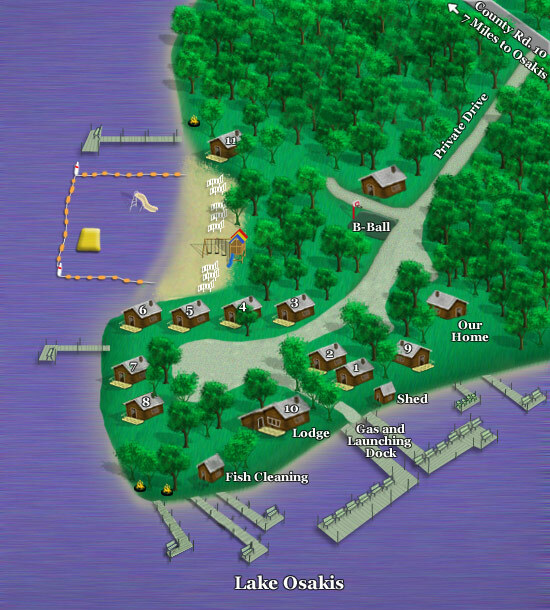 Lake Map - Lakeshore Resort - Lakeshore Resort on Lake Osakis is peacefully located at the end of a 1/4 mile long private drive on a peninsula with lake on 3 sides. All cabins are close to the water and on level grounds. Click on cabin to view information and rates. Map is not drawn to scale!